34 boats vied for big fish and 5 places to be in the money. Here are the anglers and winners. 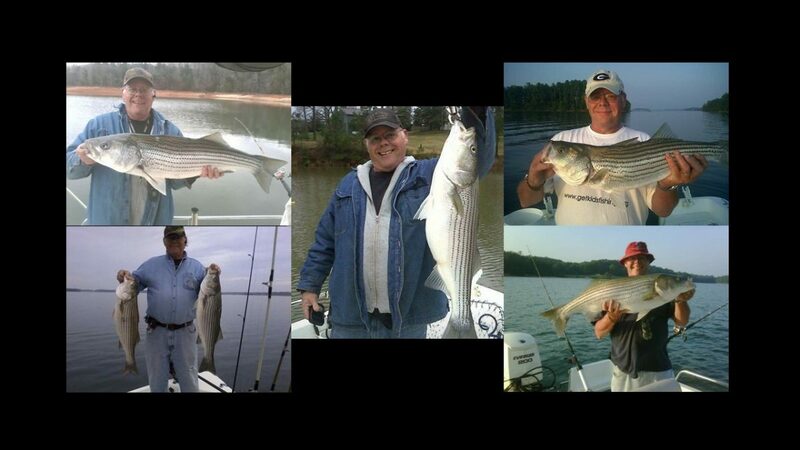 The Don Brown Open Striper Fishing Tournament will be held on September 8th. Updates to follow as we get closer. Don just seemed to be the grumpy old man across the room who would occasionally comment on whatever topic was being discussed at striper club meetings. We spoke a few words every now and then. He would give me tips on where to go fish etc. I talked him into taking me fishing one day and that was it. We got along very well and for some reason he decided he would mentor me. We became tournament fishing partners and I soaked up everything he was willing to share. Don was very direct and had a great sense of humor. After spending so much time, many many hours on the boat fishing, we got to know each other pretty well. He told me his life story and I told him mine. He shared with me how he met his beautiful wife, Susan, and how they fell in love. He told me about his passion for racing. The Don Brown Memorial Tournament had a great turnout for both fishing clubs. The topwater bite had exploded a few days prior to the tournament. Reports of 30-45 fish a day were coming in. The bigger fish finally showed up on the surface. On Wednesday and Thursday people caught fish in the 20lb range throwing chug bugs and spooks. Back to reality. As usual, Saturday came with a nasty cold front. We had heavy white caps on the lake with 15-20MPH East winds, and gusts to 35mph. Water temperature was 66 degrees on the main lake. There was no fish caught on topwater the whole day. A total of 38 boats braved the nasty conditions and tried their hand at some big money prizes. 1st place for OSC was Double Trouble with 46.50 inches. Junior, Boomer and PAul had some downline action in Little River. They apparently had it all to themselves. Backwoods had 2nd place with 38.75″. Jeremy and Brandon failed up river and were happy to get 2 downline bites in the last hour. Nauti by Nature had 3rd and Big fish with a 31.75″ fish. They got their south on a downline in the last hour. 4th went to Back in Black with 29.5″. Mike got his deep at Browns Bridge. Fish Hunter had 27.25″ and 5th place. 6th place went to Little River Boys with 23.75″. Hogans Heros also had 23.75″ for 7th place. Abercrombie and Fish had a 23″ striper good for 8th. It came out of Flat Creek. Wasted Seamen had 9th with 20.25″. We had 9 boats or half the team Zero. 4th place had 40.75″ and 5th was Backwoods with 38.75″ (OSC 2nd place). Big Fish was caught by John Mantovani. It was 36″ and yielded $900 in cash. Only 5 boats had 2 or more fish. 1st and 2nd came out of the rivers. 20 boats skunked, a little more than half the field.